Hey there! Allow me to introduce myself, I'm Gemma and I'm a Pole Dancing & Fitness addict. I'm sure you'll agree that there's just no better way to work out than with Pole and it's not just the fitness. It's everything. It's the community, the support and the passion. I often find myself wondering what took me so long to try it out myself! How Can You Benefit From Pole Dancing? My pole journey began over 3 years ago in a small town in Shropshire, UK. I'd been seeing occasional pictures of my friends dangling from poles and was awestruck! "I wish I could do that" is something that often went through my mind as I sighed longingly at the beautiful moves. I would approach people who I knew were going to classes and try to find out where they were going and whether I could join, but something always held me back. For a long time I never quite got there. It took me a little over a year to work up the confidence to attend my first pole class so for those of you still pondering over the idea, just go for it! I can not express how much I wish I'd never wasted that time, time that I could have spent building up more strength and flexibility. This is the main concern I hear over and over again from people who want to start Pole Dancing, it's the one that stopped me for so long and it shouldn't! Never worry about looking silly or being embarrassed in your first lesson - you're absolutely supposed to! Everyone starts somewhere and the majority of Pole Dancers will have started out the same unless they have a background of dance or gym attendance and even then, people who have been working hard at the gym for years are often shocked that they ache after a lesson. Shifting into second gear the day after your first pole class is never fun! So don't be worried by your lack of strength or flexibility because that's exactly what Pole Dancing is for and you will naturally improve as you work through each level of progression. Can't afford pole classes? 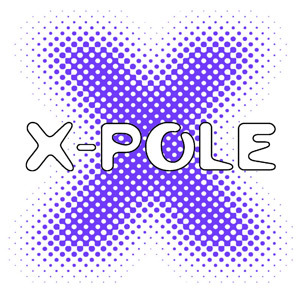 No pole classes near you? Embarrassed to start in front of a group? After moving away from my supportive little community in Shropshire across the pond to Costa Rica I soon found out it's not so easy to find a pole class here. After struggling to find classes for some time I finally bought my own pole and took a plunge into the world of practising at home. It's quite a difference to prancing about and enjoying yourself with a gaggle of girls cheering each other on and constantly reminding you to point your toes! And so Love Pole Kisses was born, I was inspired by the move to create the place for you to come where you can find that sense of encouragement and support that everyone should have within our pole community. I love to see people succeed, that's why I've made it my mission to help you to reach your Pole Fitness goals! 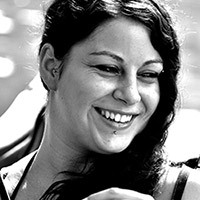 Aside from helping people online I also teach pole and flexibility classes locally. 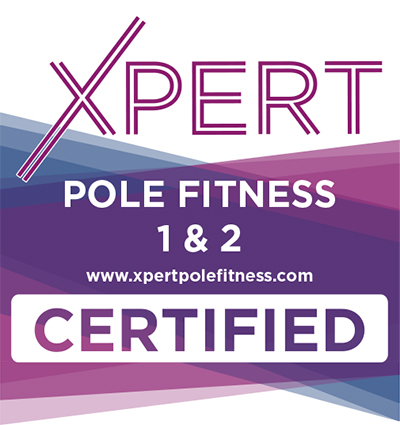 I'm an Xpert Certified and Pole Dance Community approved pole instructor. I have a passion for pole that just can't help but shine through rubbing off on everyone I meet! Love Pole Kisses will be constantly dedicated to bringing you the latest news and events in pole dancing & fitness each and every week. So if you're missing out on that sense of community and support that would come from your local Pole group then we are here for you, 7 days a week. Don't forget to look out for all of my top tips on how to achieve and maintain your strength and flexibility for pole dancing! I love to travel, I'm a bit of an adrenaline junkie so I'll try anything at least once and I love rollercoasters and anything fast! If you have any questions or comments please feel free to contact me here or catch me on any of the social media channels below. 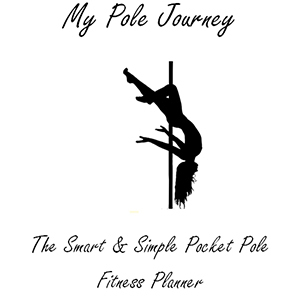 I welcome any ideas you may have for the site that you think would help you on your own pole journey, please don't hesitate to get in touch for guidance and motivational support from me!